Camp Michigan: I’m talking with Tom today. He’s the Parks Director at East Jordan Tourist Park in Michigan. Tom, why don’t you get us started by giving us a little bit of background on East Jordan Tourist Park? Tom: Well, the East Jordan Tourist Park is city owned. 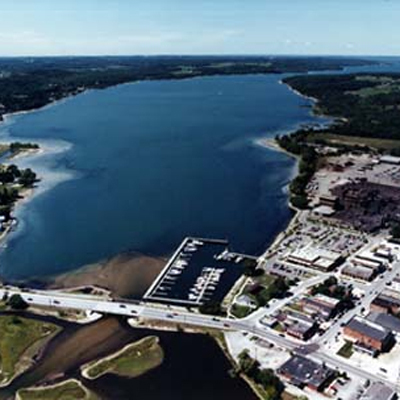 It is located right on Lake Charlevoix, and we are only about 14 to 15 miles away from Lake Michigan. Very popular tourist area is the lake. 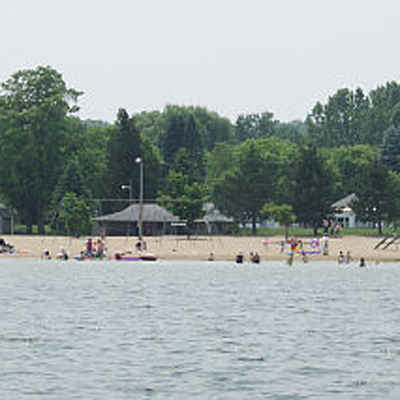 The campground itself has a public swimming beach. We have 85 total campsites, 70 of it which are full hook-up. Includes Cable TV. We do have 50amp service available for large rigs. We have tent sites. We have pop-up sites. Kind of a good range for all sorts of camping. We do have restrooms and showers. We have two cabins that are heated. Even in the winter, we rent those out, and those are available for weekly and monthly rentals. 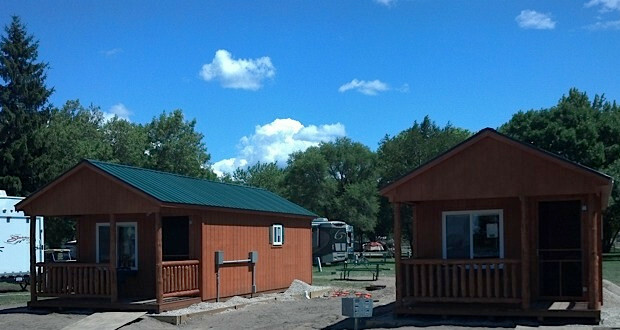 We offer also seasonal camping and monthly reservations as well as weekends. We have a large playground that was added just a few years ago. We have ball fields, tennis courts, basketball courts – all that are adjacent to the Park. And we’re located right on M-66, which is a State Highway. A very popular road that goes up to Charlevoix, Michigan. Camp Michigan: Great. So, no shortage of options for the type of camping that somebody might want to do. What are the most popular activities for people who stay there? Tom: The most popular is probably, if you’re staying right at the campground, is the swimming beach and all the recreational opportunities that we have with the facilities. Nearby we have – I mean there’s an unlimited amount of outdoor activities for a short drive. If you wanted to drive in many directions, we have a lot of outdoor, like I said, four-wheel off road. There’s horseback riding. There’s boating. Fishing is excellent in Lake Charlevoix. And again, we don’t have docks, but we do offer free trailer parking and there is anchoring for their boats that are right near the swimming area. Camp Michigan: Sure, fantastic. Two more questions for you, Tom. If you were going to spend just one hour at East Jordan Tourist Park yourself, how would you spend your time there? Tom: Well, if I was a new customer, I would try to take advantage of all the things right here and even in walking distance. It isn’t a large city. It’s very walkable. Easy to get around. The downtown isn’t very far away, but I’d probably try to take advantage of a lot of the swimming and boating activities just because that’s probably the most popular. But any shopping is also walking distance, and we have a great Visitors Bureau nearby that can be assistance for any of the day trips if you would like to travel around the Northern Michigan area. Camp Michigan: All right, perfect. And last question for you, Tom. If you were going to spend just one night at East Jordan Tourist Park in Michigan, which specific site would you stay at and why? Tom: Well, our most popular sites are corner sites. Sites 55 and 56, because you get a great lake view. They’re a little bit wider sites, but the nice thing is, is all of our full hook-up sites come with all the same amenities. Very close in size. So, even if you were to book a reservation at the last minute, you would still be very happy with your site. They’re all partially wooded and, again, with full hook-up you have unlimited amount of utilities with no other surcharges. Camp Michigan: Perfect. Well, hey, thank you so much, Tom, for giving us all that great information there about the surrounding area and to tell us a little bit more about East Jordan Tourist Park in Michigan. Tom: Okay, you’re very welcome.